About a hundred people gathered near the boulevard in north Minneapolis where Jamar Clark was shot by a police officer. It was March 30. Much of the crowd was upset and sad. Earlier in the day, they had listened to Hennepin County Attorney Mike Freeman take a half-hour to explain the 61 seconds on Nov. 15 during which Jamar Clark went from being a guy standing outside a party to a rallying cry for racial justice. There was resentment toward the police. There was resentment toward a justice system that wouldn't prosecute the officers involved. And there was resentment toward the media, which some activists have accused of improperly covering Clark's death by giving too much weight to the claims of law enforcement over those of witnesses. 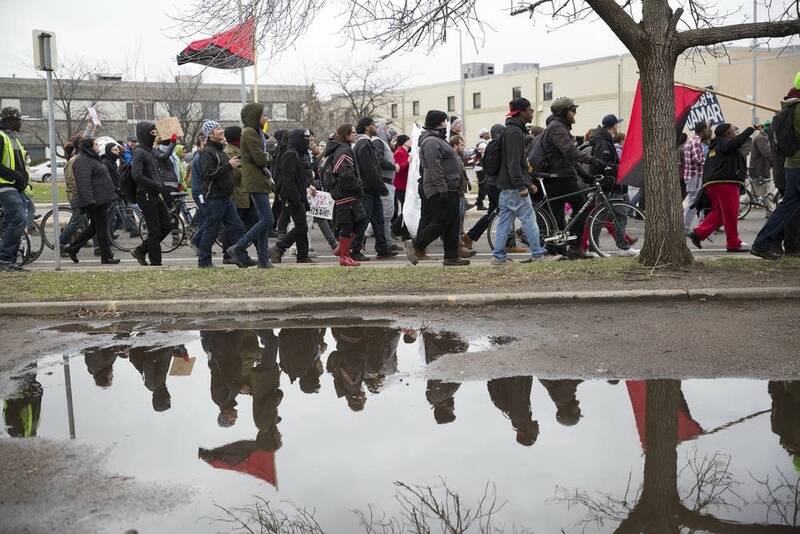 The crowd that afternoon marched from Minneapolis' north side toward the city's downtown, joining up with a larger rally. They chanted what they had been chanting for four months after Clark's death — "Indict! Convict! Send those killer cops to jail!" — the full two-plus miles of the walk. The gaggle of reporters in tow kept mostly quiet, and on the crowd's periphery. But one person with a camera stuck out from the rest, nodding and chanting along with the marchers at times. It was Niko Georgiades, a journalist from Unicorn Riot, the online media startup that came into its own as it live-streamed the protests and demonstrations after Clark's death. Unicorn Riot is a volunteer-run nonprofit. It's made a name for itself in Minneapolis and a handful of other cities as a voice for people who, its members feel, have been ignored and minimized in most popular media narratives. 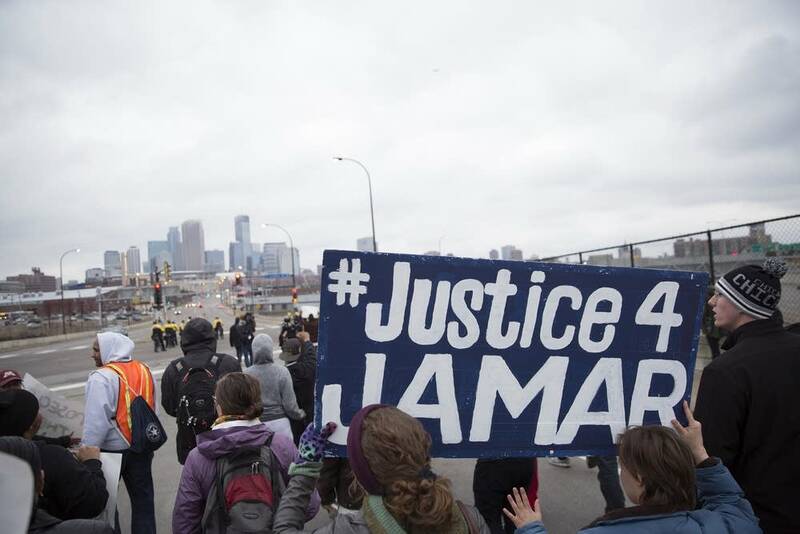 "When it comes to the media's coverage of the Jamar Clark case," Georgiades said, "it's been a continual police report. A police narrative. 'This is what the police said.'" News organizations tend to lean on sources like prosecutors or the police for official accounts of what's happened in crimes, alleged crimes or otherwise. Activists say that, by doing so, news organizations show an inherent bias for government entities and official sources. And in a story in which many people feel that a government entity — the Minneapolis Police Department — is the perpetrator of injustice, that bias is keenly felt. 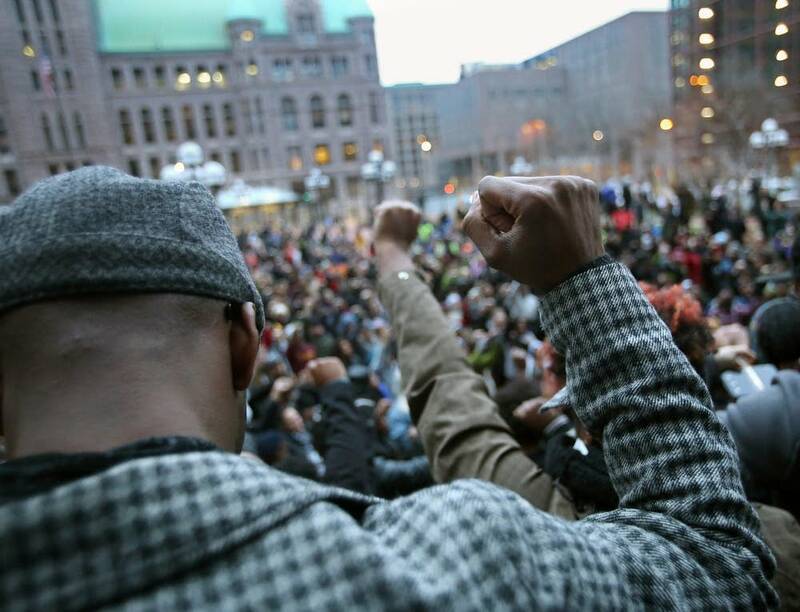 Distrust of the news media has permeated recent protest movements in Minnesota and nationwide. It's changed the way groups spread their message. When organizations like Black Lives Matter have something to say, they'll put it on Facebook or Twitter instead of going to a news outlet. On social media, there's little filter of information, and the groups can control the entirety of their message instead of handing it off to a reporter to present it. Activists say news organizations have a history of unequally or inaccurately representing minority groups, which they say contributes to systemic oppression. That makes nontraditional groups like Unicorn Riot an easier source for social justice movements to trust. After Clark's death, "a lot of the conversation was around, 'Don't trust mainstream media, we only talk to black media,'" Georgiades said. "There was the exception of Unicorn Riot when it came to that. And I think the exception is that because we're an independent, nonprofit organization, we don't really answer to the power structures that be." Georgiades and others who would later become the Unicorn Riot crew first came together while they covered Occupy Wall Street, an earlier grassroots movement, for online news outlets. They moved on to cover the 2014 protests in Ferguson, Mo., after the police shooting death of Michael Brown. Unicorn Riot came out of the frustration they felt with the bureaucracy of the editing process. It slowed down the publication of their work — and took the control of presenting the stories out of their hands, said Ray Weiland, who does much of Unicorn Riot's web and social media work. 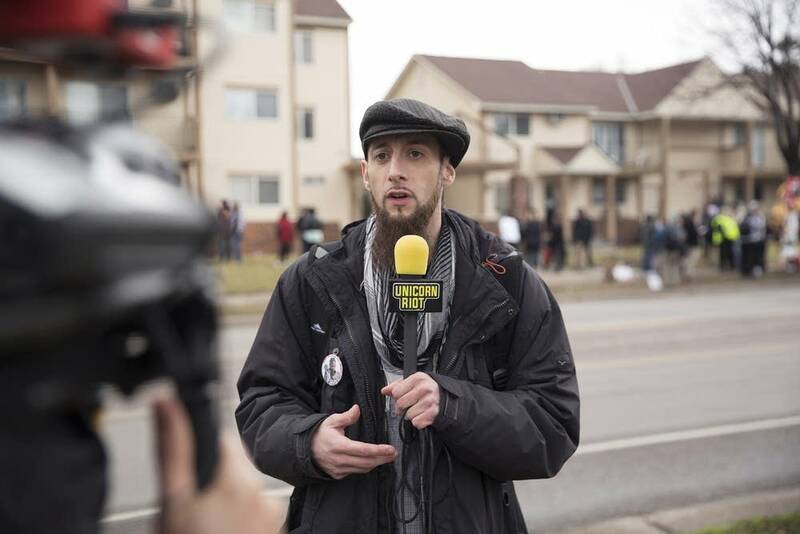 Andrew Neef, another of Unicorn Riot's founders, said he had been artistically frustrated in his reporting before they started the group. Some of his projects weren't getting published. They were probably too radical, he said, for the news organization he was working for. 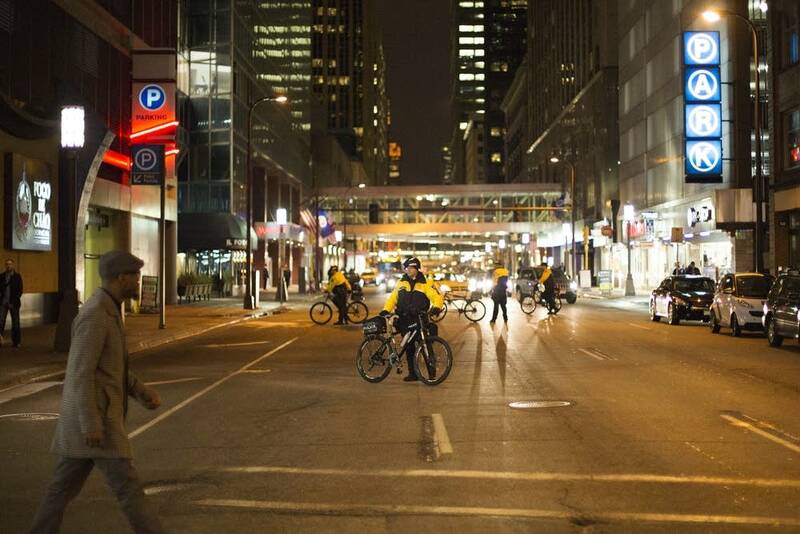 So in the fall of 2014, Unicorn Riot started meeting in Minneapolis. "We knew we could do something that other news organizations couldn't do," Weiland said. Now, Unicorn Riot has about 17 members — all volunteers, many of whom play multiple roles in the group — spread out across the United States. In addition to live video of protests and rallies, Unicorn Riot produces podcasts, video packages, web series, blogs and investigative pieces. As it grows, it hopes to expand, reporting on the arts — and maybe even adding a gardening show. But for now, it mostly focuses on social issues and law enforcement. Unicorn Riot's coverage of the protests after Jamar Clark's death put the organization on the map. 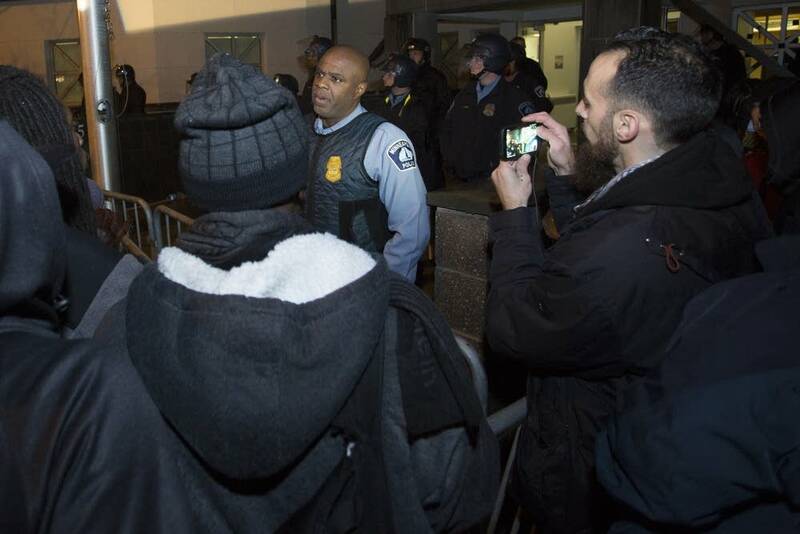 The group live-streamed much of the nearly three-week occupation at the Minneapolis Police Department's 4th Precinct station. More exposure brought in donations, once the organization became a nonprofit, and it gained them new fans like Tom Larsen, who joined the demonstrations outside the Hennepin County Government Center in March after prosecutor Freeman delivered his no-bill decision. Larsen said he had started watching Unicorn Riot's live streams during the 4th Precinct occupation last winter, and has been following them since. "To build something that isn't reliant on corporate blessing is to stay true," he said. "This is the solid, seat-of-your-pants truth." 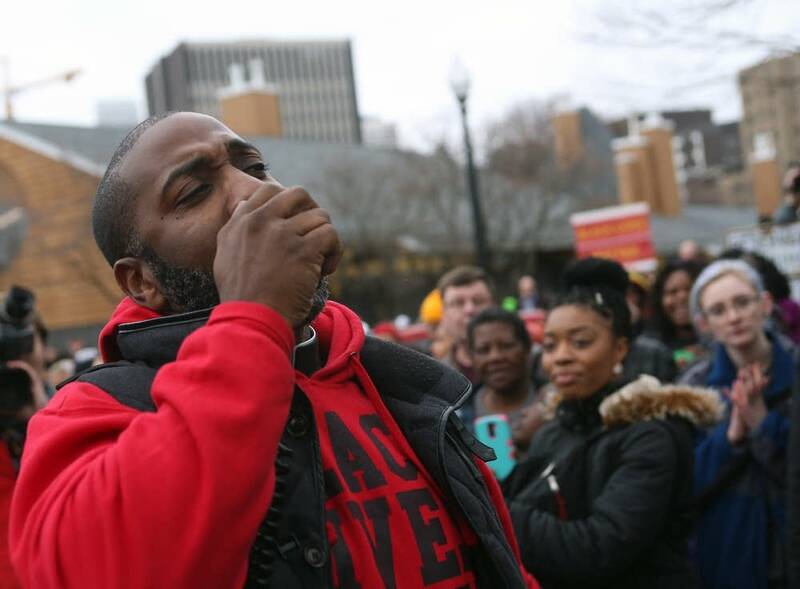 Earlier that day, before Larsen and hundreds of others demonstrated in Minneapolis, Pastor Danny Givens had stood before a row of mostly white reporters at a press conference. Givens, a clergy liaison for Black Lives Matter Minneapolis, was talking to the cameras at first, reacting to Freeman's decision not to charge the officers in the Clark case. Then he turned to address the reporters themselves. "What would you do if they started killing white children instead of black children?" he asked the group, his voice growing louder with each sentence. "You're being paid to watch our children being killed. You're being paid to watch our people be killed. You're being paid to show up with your cameras to videotape our misfortune, our grief, our sorrow." Backed by several other local civil rights leaders, Givens continued his speech, imploring local newspaper writers, radio reporters and TV video journalists to take up his cause. "We ain't just caricatures up here just talking because we want to be on the TV," Givens said. "We're people who are broken." No matter the plea, traditional news sources won't advocate for any cause. Unicorn Riot is by no means a traditional news source. It once called Jamar Clark's death an "execution-style murder" in a story, a categorization that defies typical news ethos — most news organizations tend toward language that is less charged, more neutral, to describe Clark's death. But Unicorn Riot's volunteers don't want their work to be pigeonholed as activist journalism. That downplays the work, they say. "People start to refer to us as activists when we're just trying to get the story out there, and we might care also," said Neef. "I don't think we're an activist group at all." At times, though, Unicorn Riot chooses sympathy for the cause over objectivity in its reporting, a line most news organizations aren't comfortable crossing. 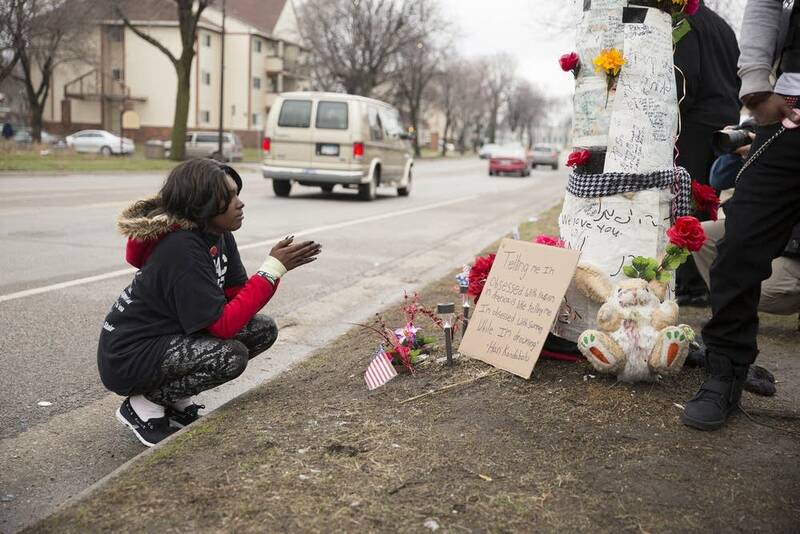 Georgiades, for example, has gotten to know some of Jamar Clark's family. Georgiades taught Clark's cousin, and many of his friends, through his day job at the We Win Institute in Minneapolis. The story of Clark's death is close to his heart, he said. The day Freeman announced officers Mark Ringgenberg and Dustin Schwarze wouldn't be charged in the shooting, Georgiades was on the team covering the news conferences and rallies that followed. At times, his feelings and opinions would seep into his reportage, nodding with the chants or showing solidarity with the protesters. For most news organizations, that wouldn't fly. But for Unicorn Riot, it's a point of pride. Unicorn Riot, as an organization, believes it can cover the nuance of social movements better than most traditional news organizations. Its journalists have followed social movements for years, and they say that expertise brings better coverage. The way its journalists see it, Unicorn Riot is sharing the stories most media don't. Minority groups are often erased from media coverage, Unicorn Riot members say, and they actively want to change that by seeking out those unheard voices. College journalism classes preach "giving voice to the voiceless" as a core principle of the job. For the members of Unicorn Riot, most of whom lack formal training in journalism, it's a given. Weiland points out the group's mission statement: "Unicorn Riot's purpose is to amplify the voices of people who might otherwise go unheard, and broadcast the stories that might otherwise go untold, as we further understanding of dynamic social struggles." If you're wondering what police or institutional sources might say about an issue, Unicorn Riot's Lorenzo Serna said, go to a legacy news source. "They have a giant voice already," he said. That's not to say Unicorn Riot's crew has a universal distaste for all conventional news organizations. They say some larger news outlets cover similar issues well. Still, Unicorn Riot sees overarching, systemic problems with mass media, and it's seeking to build on its niche outside the mainstream. "I'm happy because we're not covering what's on their front pages," Serna said. Late the night of the March 30 protests, Unicorn Riot was one of the last news organizations out in full force at the gatherings in north Minneapolis. Serna was filming for the live stream and turned his camera to two young women, asking what had brought them to the demonstrations that night. They told him they were out to support the calls for justice, but paused before Serna wrapped up the interview. They wanted to thank him. That happens a lot for Unicorn Riot journalists. One of the women told Serna she believes Unicorn Riot's filming of the 4th Precinct occupation in the fall — during which five people were shot — helped keep her safe. "Thank you so much, Lorenzo, I appreciate you," she said, going in for a hug. Serna let his lens drift away from the march and hugged her back.